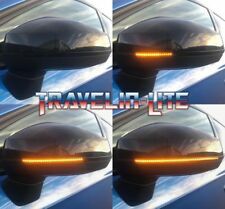 VW Golf MK4 Dynamic LED Side Repeaters Great Quality. Will fit golf MK4 & Bora from 97 - 05. Smoked lens. Dynamic flowing leds. Great quality and design. Dynamic flowing style. Super bright led's. Plug & play design. Clear lens. Great quality & design. Free gloss black 3M covers. Dynamic flowing style. Smoked lens. Super bright led's. Great quality & design. Very easy to install. CRYSTAL CLEAR. Add to Favourites. 1 Year Warranty . We will always try to find your sale but if we have no information it's like finding a needle in a haystack! Need your item within 24 hours?. We are happy to help you with this process. CRYSTAL SMOKED. 1 Year Warranty . Need your item within 24 hours?. We will always try to find your sale but if we have no information it's like finding a needle in a haystack! We are happy to help you with this process. CRYSTAL SMOKED. Need your item within 24 hours?. 1 Year Warranty . We are happy to help you with this process. We will always try to find your sale but if we have no information it's like finding a needle in a haystack! Pair of quality smoked side repeaters. Land Rover Freelander 2007 - 2015. Land Rover Discovery 3 & 4 2004 - 2014. Range Rover Sport 2005 - 2012. Pair of Bulb Holders. They will fit. BA9S 5 LEDS 5050SMD. FITS ALL CARS REQUIRING A BA9S BULB. 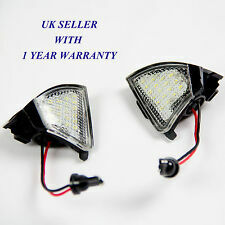 2 X Blue W21 5W T20 580 7443 Xenon White Halogen DRL Sidelight Light Hid Bulb. Reference OE/OEM Number: W21/5W T20 7443 580 MTEC DRL Sidelight Stop Tail. To Fit: Sidelight / DRL. Part Manufacturer Number: W21/5W T20 7443 580. A5055422214820 EAP 1. JOM Part number 80296 replaces ORIGINAL VW PART number. 161949117 (x 2 and crystal). Both Passenger Side and Driver's Side are included. Always check the photo and part numbers match the product you are replacing. 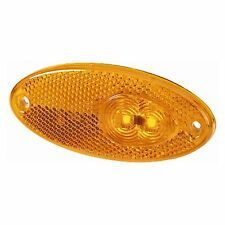 SIDE INDICATOR REPATER LENS LIGHT AMBER. 1 X SIDE INDICATOR REPATER -FITS FOR BOTH SIDE LEFT or RIGHT. ORIGINAL REFERANCE NUMBER: 6303. CITROEN RELAY. OUR PART NUMBER: 131142. Canbus error free. Wedge bulb type: 501 (W5W). Also known as T10 / w5w / 194 / 168 fitting. Colour: White. Qty Included: 10 bulbs. All our bulbs are sourced from quality suppliers. Technology: Led. Jaguar XK8 / XKR (X100) from 1996 to 2006. Want to differentiate your Jaguar but retain the essential factory style?. Used as truck side marker, turn signal and clearance light. LED type: piranha lamp. Material: ABS PMMA Light Cover. Simple design and easy to use. 5 x Car LED light. Light color: Yellow. For cars, trailers, trucks, etc. Also commonly known as t10 / w5w / 194 / 168 fitting. Wedge bulb type: 501. Important notice: The compatibility chart above is for guidance only. Colour: White. Qty Included: 10 bulbs. Installation could not be easier, simply remove your existing bulb & replace with this one/plug & play fit. Dynamic Front Fender Flowing LED Side Marker Lights For VW MK4 Jette Bora. For Bora 1998.10-2005.05. For Passat 3B 1996.10-2000.11. For Passat 3BG 2000.10-2003.10. Dynamic flowing led. For Golf 3 1995.09-1999.04. Canbus error free. Wedge bulb type: 501 (W5W). Also known as T10 / w5w / 194 interface. Colour: White. Qty Included: 10 bulbs. All our bulbs are sourced from quality suppliers. Technology: Led. Plug & play, simply remove your existing bulb & put this one in it's place. Fits on these models Mini Cooper R50 R52 / R52 S/ R53 S First Gen. Smoke LED Side Markers Turn Signal Lights Fits 01-06 Mini Cooper R50 R52 R53 S. Engine Hood Damper. Car Cigarette Socket. For MINI COOPER. Applicable To Mose Car Model With T10 / T10 / 194 / 168 / 158 /12256 / 12961 / 2821 / 825 / W5W Socket. LED Type: T10 5050 SMD LED. Light color: RGB. 2 x T10 LED Car Lights. Four different lighting modes:flash mode,strobe mode,fade and smooth mode. Jaguar XJ Series X351 2009 onwards. Want to differentiate your Jaguar but retain the essential factory style?. Bora 1998.10-2005.05. T5 2003.04-2009.09. Smoke LED Side Marker Light For VW Golf 3/4. /Bolaille/Pasat/Sharan/T5/Polo 2003 - 2015. Passat 3B 1996.10-2000.11. Passat 3BG 2000.10-2003.10. Polo 6N 1994.10-1999.10. 1 Year Warranty . Need your item within 24 hours?. We will always try to find your sale but if we have no information it's like finding a needle in a haystack! We are happy to help you with this process. S14 Kouki 96-98 Front Corner Lights (Pair). 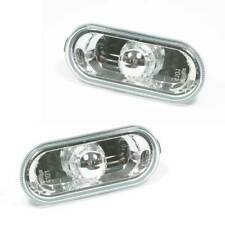 A pair of front corner lights to fit Nissan S14 Kouki. Full clear corner lights. You can follow our race team, fitting guides, and general car madness via our YouTube channel. 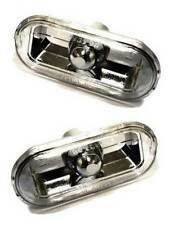 Nissan S14 Zenki 93-95 Front Corner Lights (Pair). A pair of front corner lights to fit Nissan S14 Zenki. Full clear corner lights. You can follow our race team, fitting guides, and general car madness via our YouTube channel. 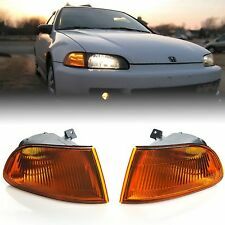 2 X SIDE INDICATOR REPATER LENS LIGHT AMBER. 2 X SIDE INDICATOR REPATER -FITS FOR BOTH SIDE LEFT or RIGHT. ORIGINAL REFERANCE NUMBER: 6303. PEUGEOT BOXER. OUR PART NUMBER: 131142 X 2. Add to Favourites. 1 Year Warranty . We will always try to find your sale but if we have no information it's like finding a needle in a haystack! Need your item within 24 hours?. We are happy to help you with this process. Valenti Jewel LED S ide Markers for the GT86 & BRZ. Subaru Impreza GC8. Fit also for WRX STI and basic models. super long-life reflector lights. Replace your OEM amber old side markers with a new crystal finished. Front Corner Turning Signal Lights! Need your item within 24 hours?. Add to Favourites. We will always try to find your sale but if we have no information it's like finding a needle in a haystack! We are happy to help you with this process. Engine Hood Damper. Car Cigarette Socket. Auto Shift Lamp. For MINI COOPER. Carbon Oil catch tank. Fog Lights. Corner lights. Replace your OE Bulb type turn signals with OE quality LED amber turn signal with Smoked Lens. Fits Mini Cooper Countryman (R60) & Paceman (R61). Car Cigarette Socket. Auto Shift Lamp. For MINI COOPER. Carbon Oil catch tank. Fog Lights. Corner lights. Replace your OE Bulb type turn signals with OE quality LED BAR amber turn signal with Smoked Lens. HELLA 011 768-011, 011 768-017, 2XS 011 768-017. Light Function with position light (LED), with tail light (LED), with side marker light (LED). Compared to bulb versions, these LED versions feature a lower current consumption and a longer design life. Land Rover. We will always try to find your sale but if we have no information it's like finding a needle in a haystack! Add to Favourites. We are happy to help you with this process. 1 Year Warranty . Super bright 3 LED's with latest Technology with Smoked Lens Side markers. This unique side markers will Give a totally new exterior look for your car. Replace your OE Bulb type turn signals with OE quality LED amber turn signal with Smoked Lens. The functional ability of these light failure checks can only be established by the vehicle manufacturer. Operation of the light with alternating current or pulsed direct current is not permitted! The individual light functions may only be operated with a vehicle fuse of max.